THE STRIKE BY Bus Éireann drivers planned to take place from Monday has been called off. Both the NBRU and Siptu have issued statements saying that they have accepted an invitation from the Workplace Relations Commission for talks on the current situation with Bus Éireann on Monday 6 March. Siptu Sector Organiser Willie Noone said: “It has always been apparent that the expertise of the WRC will be required to deal with the serious and complex issues in this dispute. In deference to a request by the WRC the scheduled strike action by SIPTU members in Bus Éireann, which was due to commence on Monday, has been suspended. NBRU General Secretary Dermot O’Leary warned that, although the current strike action has been averted, its members should remain ready to engage in an immediate all-out strike if an agreement cannot be reached with Bus Éireann. He said: “We will of course endeavour, on behalf of commuters and our members, to work towards resolving this crisis. However, the attitude displayed by Bus Éireann management to-date has left us with no option but to advise our members that they should remain on a war-footing and be prepared to engage in an immediate all-out strike. 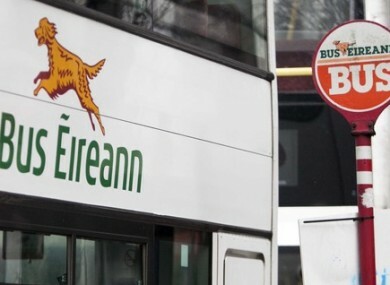 In a statement, Bus Éireann said that, while the financial situation remains critical, they have decided to defer the implementation of its planned changes while talks continue. I welcome the news that Monday’s proposed bus strike has been called off. I would like to thank both employer and employees involved in this dispute for accepting an invitation from the Workplace Relations Commission to return to talks. I am sure the travelling public will be relieved that Bus Éireann services will be available to them on Monday. The dispute centres on the cost cutting measures planned by the national bus operator, which says that it go insolvent by the middle of this year if it doesn’t reduce its spending. Workers had prepared for a “protracted strike” from Monday, as unions refused to accept what they referred to as “far-reaching and financially impactful measures”. The financial situation at the embattled company is such that it claims it is looking at an estimated operating loss of €9.4 million for last year. It states that losses for last month are already in excess of €1.5 million. Minister for Transport Shane Ross has repeatedly refused all calls to intervene in the dispute, reiterating his position before an Oireachtas Transport Committee hearing on Wednesday. On numerous occasions under questioning from Committee members, Ross rejected calls to personally intervene in the dispute, saying that he “wouldn’t get involved” and wouldn’t “take sides”. He did, however, repeatedly call on the company and the unions to enter into talks together. Part of Bus Éireann’s cost cutting measures involves the scaling back of some routes, and the scrapping of others. Earlier this week, the National Transport Authority (NTA) issued a statement saying that it had assessed the affected routes and determined that only the planned closure of the Westport-Athlone route would so adversely affect its users as to warrant additional provisions put in place to replace the service. However, the unions were less than impressed with the NTA’s plans. Siptu’s Noone said: “On four of the five routes on which the management of Bus Éireann has selected to cut or severely curtail services the NTA states that it has already issued enough licences to cover their continuation by private operators. This reveals a long-term plan to undermine public services for the benefit of private operators. Email “The Bus Éireann strike planned for Monday has been called off”. Feedback on “The Bus Éireann strike planned for Monday has been called off”.